Filled to the brim with proprietary creamy wax, the Floraison 10 oz. Candlepot is easily as decorative as it is fragrant. 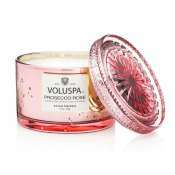 The creamy wax is combined with handmade perfume fragrance in a soft silky frosted glass with an elegant pastel glaze ceramic lid packaged in a hexagonal color box. Burns 85 hours. 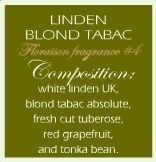 Linden Blond Tabac combines White Linden UK, Blond Tabac Absolute, Fresh Cut Tuberose, Red Grapefruit and Tonka bean. 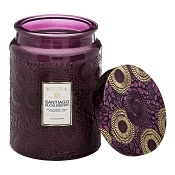 The scent is so beautiful and it doesnt give you a headache after you burn it for hours like others I have used. The packaging is also high quality. 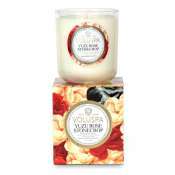 I use it when I cook and it doesnt fight with the aroma of any food....that in of itself makes it the best candle ever in my book! Im sad that is scent is retired.....hope they bring it back. Best ever. Dont know why retired. Search to buy them all the time! Order arrived quickly with no problems. Thanks! My favorite! I received my order quickly and intact. Sign-in or Create an Account to earn 120 points for this item. See Rewards Page.